Autoimmune thyroid disease entails some sort of dysfunction from the body’s defense mechanism, in which the body does not distinguish its own organs and tissues, and rejects them, triggering inflammation and sometimes destruction. It can manifest either as hyperthyroidism (overactive thyroid) or hypothyroidism (underactive thyroid). The main types of autoimmune thyroid disease are focal thyroiditis, Hashimoto’s thyroiditis, atrophic thyroiditis, silent thyroiditis, postpartum thyroiditis and Graves’ disease. Focal thyroiditis may not present with a goiter and blood examination will show normal or sub-clinical hypothyroidism. Sub-clinical hypothyroidism means that the thyroid stimulating hormone level is high which reflects an underactive thyroid but the thyroid hormone levels (thyroxine or T4 and triiodothyronine or T3) are normal. However, focal thyroiditis may progress to overt hypothyroidism, a state of true underactive thyroids. Hashimoto’s thyroiditis presents with an anterior neck mass or a goiter. Blood examination of thyroid hormones will show either normal or underactive thyroids wherein there is high thyroid stimulating hormone (TSH) and low thyroid hormones T3 and T4. In addition, your doctor may also request for thyroid autoantibodies such as the thyroglobulin and/or thyroid peroxidase antibodies. With Hashimoto’s thyroiditis, these autoantibodies are positive. Silent thyroiditis sometimes called postpartum thyroiditis because it usually presents after pregnancy may manifests with small nodules. Initially, these patients present with thyrotoxicosis or hyperactive thyroids because the thyroid at this stage is on its destructive process and is releasing preformed thyroid hormones to the body. 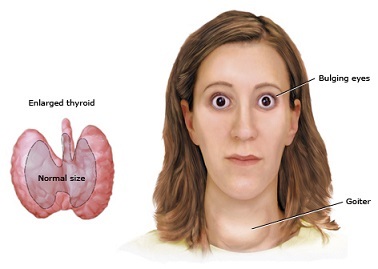 The patients may be mistaken with true hyperthyroidism until they present with hypothyroidism after awhile. 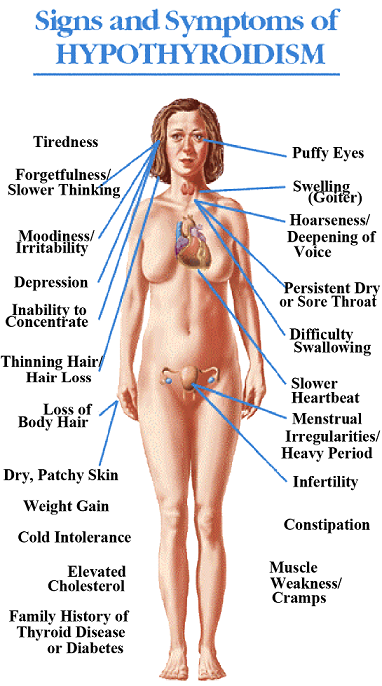 When they progress to hypothyroidism, they may permanently be hypothyroid. Atrophic thyroiditis may be the sequelae of the above conditions and usually presents with hypothyroidism. Graves’ disease presents with hyperfunctioning thyroid grand or overactive thyroids and is usually associated with eye involvement such as ophthalmopathy or orbitopathy where the eyelids widen and bulge, respectively. Thyroid stimulating antibodies, a type of blood test, is usually positive. Many factors are mentioned in studies that increase the risk of a person to develop autoimmunity. Studies on the relationship of heredity or genetics and environmental factors with autoimmunity show some evidence but not conclusive. Environmental exposures include infection, stress, and occupational exposure to ionizing radiation.